The Getty Center. Los Angeles, California. Are you taking full advantage of the awesomeness? This piece originally appeared as part of our Be A Tourist in Your Own Town guide, in the December 2017 issue of Los Angeles magazine. No matter how many times you’ve been to our most-visited cultural institutions, chances are you’re not taking full advantage of their awesomeness. Don’t miss out on their (mostly free) bonus programming. The Basics: Maybe you only hit the crown jewel of Museum Row when you want to photograph yourself in front of something (Chris Burden’s Urban Light, Random International’s Rain Room, the super-saturated James Turrell installation, that bonkers Guillermo Del Toro exhibition). But there’s more than meets the lens at the largest art museum in the western United States. The Bonuses: Grab a thyme-elderflower gimlet from Ray’s and Stark Bar and, between April and November, catch free jazz concerts in the courtyard Friday nights (make a picnic out of it on the nearby lawn). Hoping to become a seasoned LACMA-goer? Buy a LACMA Local membership ($40 à la carte, or an additional $25 tacked onto a regular annual membership) for access to special themed events—tours of hard-to-get-into exhibitions, watching the sun rise over the gargantuan suspended boulder we know as Levitated Mass—on the first and third Saturdays of every month. The Basics: Eli and Edythe’s namesake art house is L.A.’s current cool kid, and while tickets may be free, getting in the door still requires some strategizing (seriously, just set a recurring calendar notification for the monthly ticket releases). If you can’t go during normal hours to see some of the 2,000 bluechip works from the billionaire philanthropists’ personal collection—Jeff Koons, Yayoi Kusama, and Jean-Michel Basquiat are only a few of the artists whose stuff is on permanent view—there are plenty of other ways to be part of the Broad scene. The Bonuses: The museum’s “Un-Private Collection” series pairs artists with cultural luminaries (Eric Fischl and Steve Martin, Takashi Murakami and Pico Iyer, Kara Walker and Ava DuVernay) for confabs held in venues all over the city, including the Broad’s own Oculus Hall and the Orpheum Theatre in DTLA. In the warmer months, the museum hosts “Summer Happenings”—monthly events crammed with music, dance, and multimedia performances inspired by whatever exhibition is on display. The Basics: There’s no shame if you’re more in the habit of looking from afar at architect Richard Meier’s city on a hill (or stopping by simply to take in its panoramic vistas). Considering the collection of American and European art dating to the Middle Ages, getting through all of the galleries in a day can feel a little formidable, but there are tons of excuses for quick, free visits. 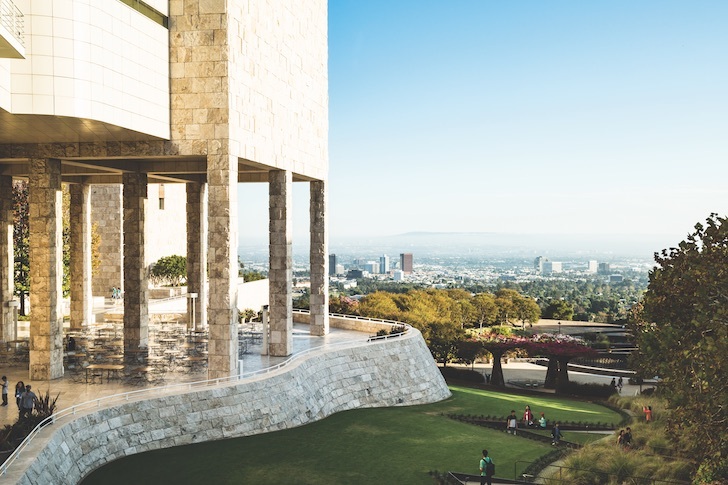 The Bonuses: For a behind-the-scenes look at the travertine-clad complex, check the museum’s Web site—architecture tours are offered six times per day; there are also four daily tours of artist Robert Irwin’s Central Garden. Like the Broad and LACMA, the Getty offers a summertime concert series, dubbed “Off the 405.” Tram it up the hill for performances by the likes of Reggie Watts and YACHT (best enjoyed while sipping cocktails and watching the sun dip below the horizon). Bring the kiddos for one of the shows in the “Garden Concerts for Kids” series, which featured Grammy winner Dan Zanes not too long ago. RELATED: This Is the Best Free After-Hours Museum Programming in L.A.